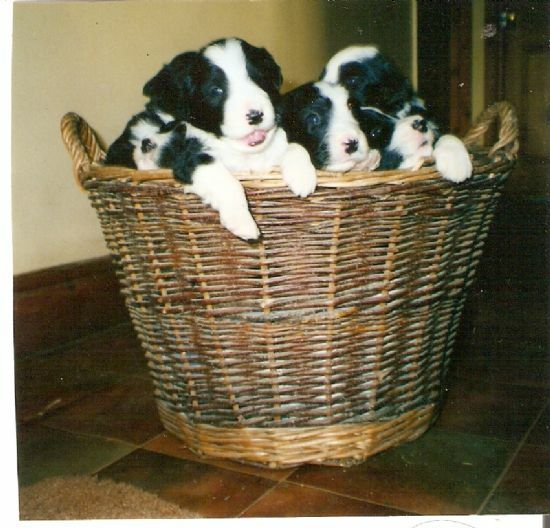 2005 - Puppies from B.Brianna's second litter by Elan Jim at nine weeks. Breeze + Tiger are still with us, Robbie belongs to Elsbeth Richardson. 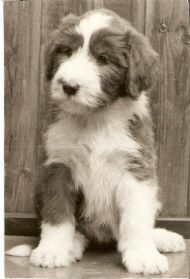 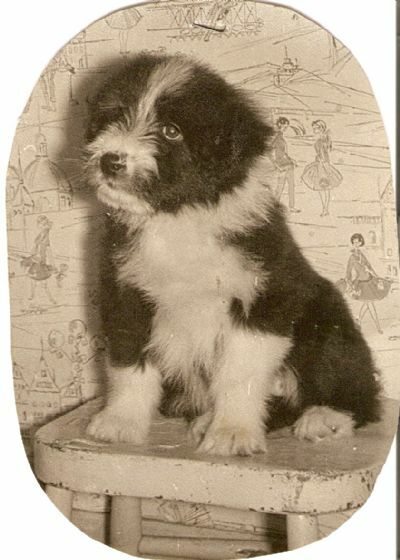 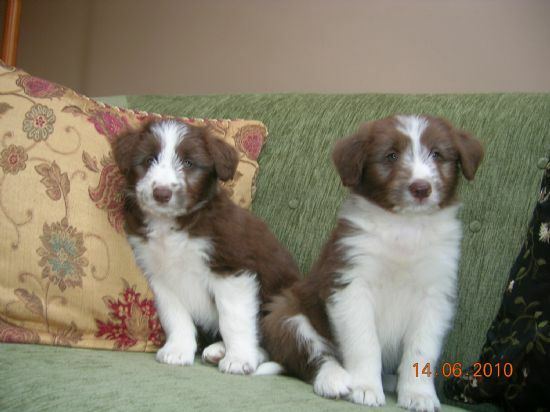 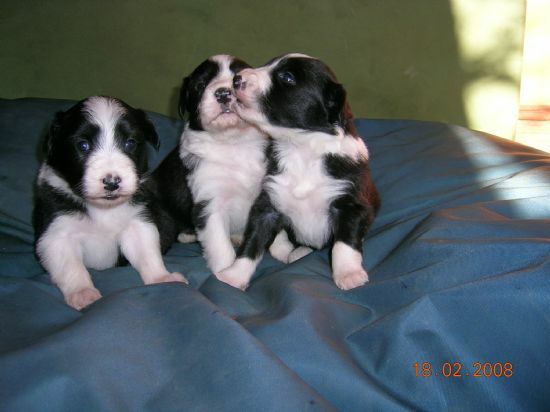 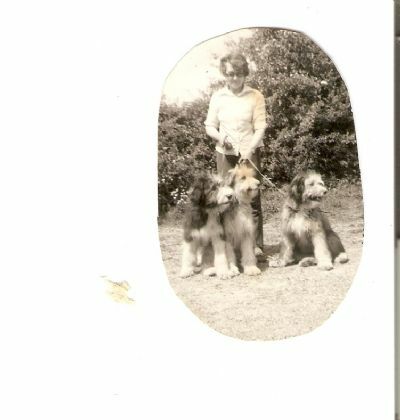 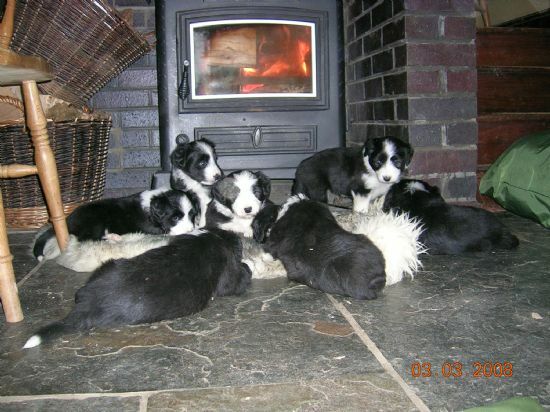 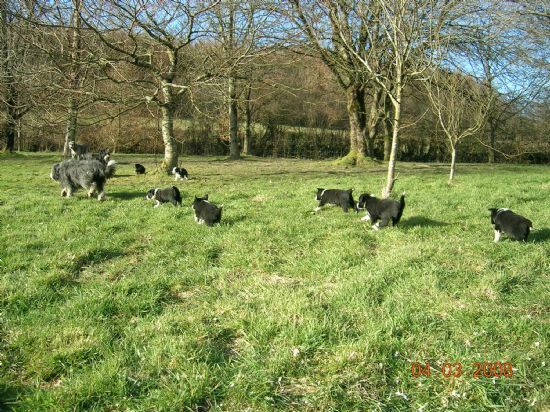 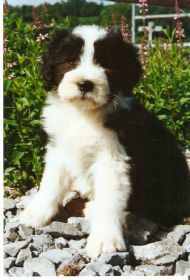 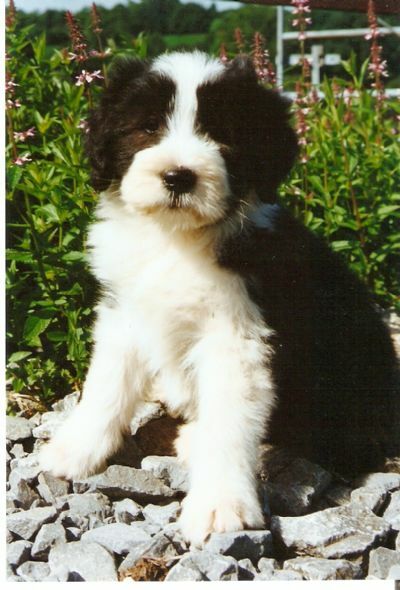 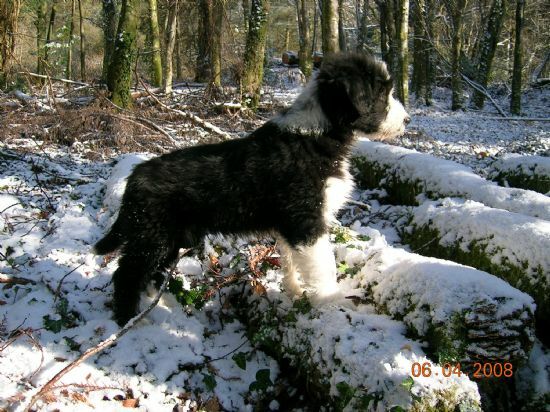 2008 - puppies from Breeze's litter by Lester. 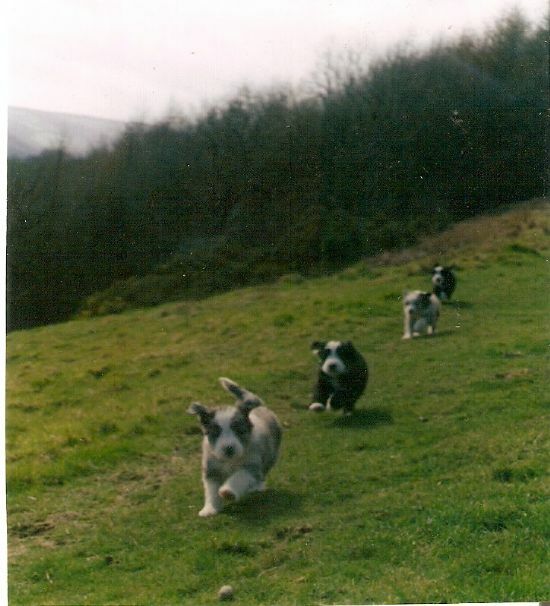 Blodyn is resident here, Peter belongs to Christine Carter. 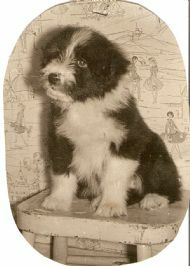 As a Dylan Thomas fan I thought I should call this 'Portrait of the Artist as a Young Dog'. Go to our News Page to 'Read All About It'. 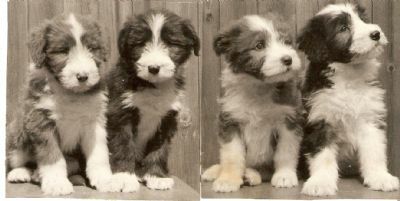 Just some of the many successful offspring of Ch.B.Balthazar x B.Briar Rose. 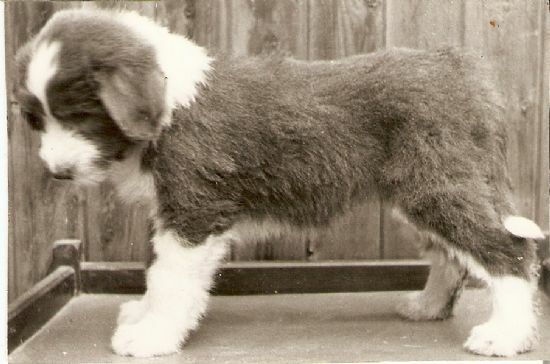 Brighde's litter by Butler's Don at 3weeks old. 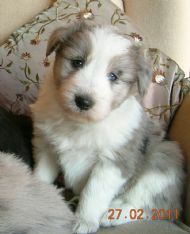 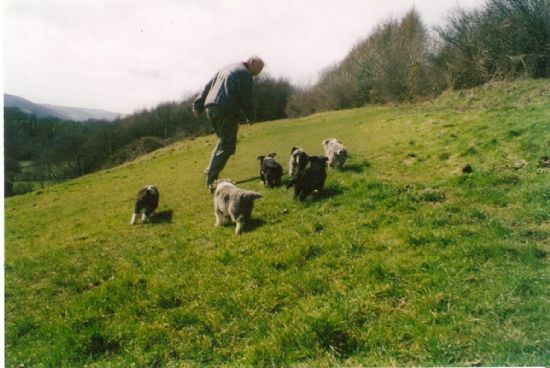 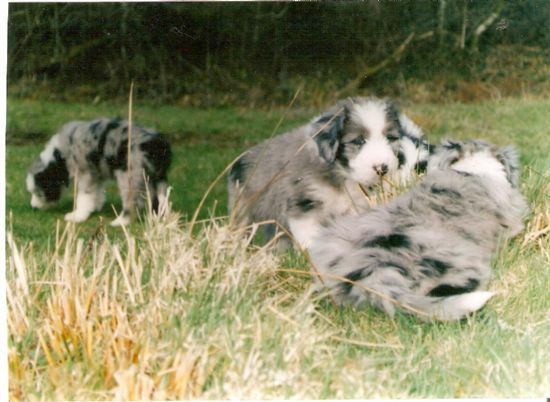 Blue Merle puppies at 7weeks old in Spring 2004. 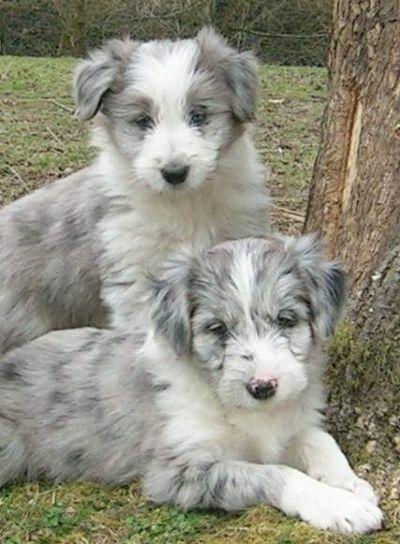 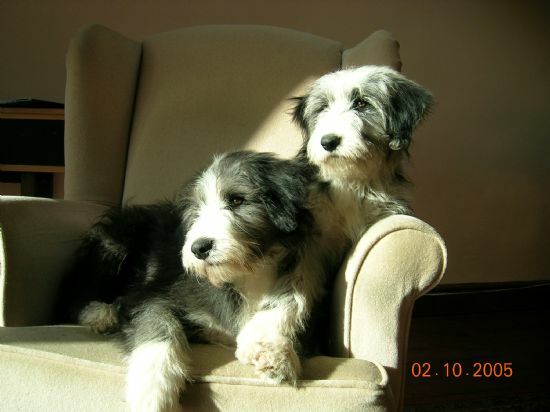 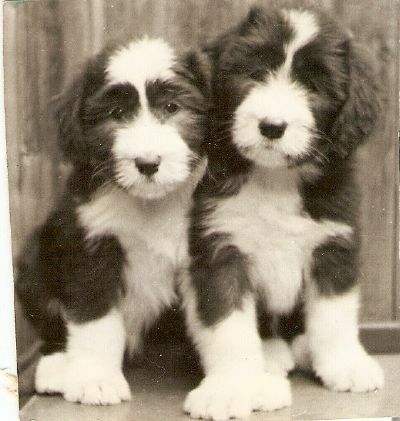 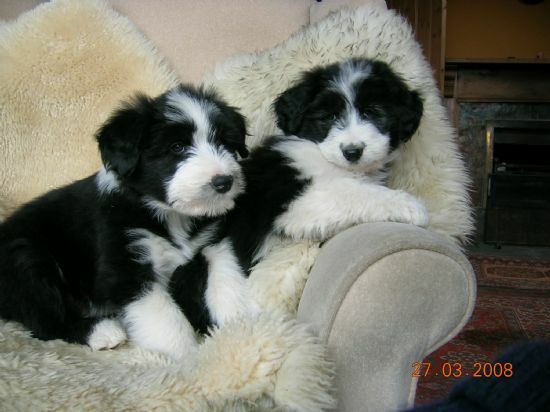 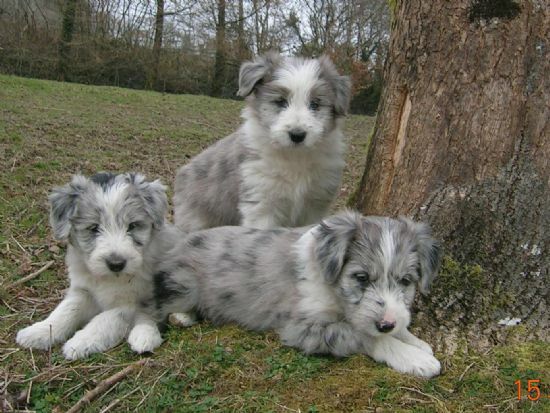 Slate and blue merle pups at 6weeks in 2004. 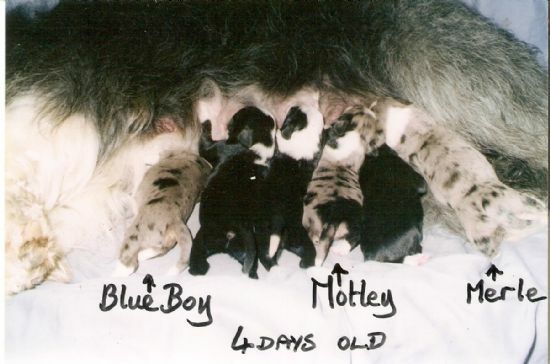 Slate and Blue merle puppies at 4days old. 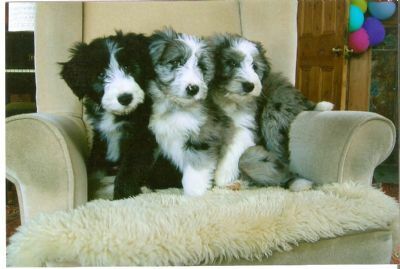 Three merle girls born January 2011 to Glen and Mottie.